The thing works, but NASA doesn't know what to do with its spent fuel. If the power goes out in your home, you can usually settle in with some candles, a flashlight, and a good book. You wait it out, because the lights will probably be back on soon. But if you’re on Mars, your electricity isn’t just keeping the lights on — it’s literally keeping you alive. In that case, a power outage becomes a much bigger problem. 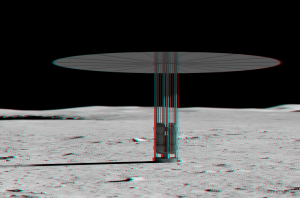 NASA scientists think they’ve found a way to avoid that possibility altogether: creating a nuclear reactor. This nuclear reactor, known as Kilopower, is about the size of a refrigerator and can be safely launched into space alongside any celestial voyagers; astronauts can start it up either while they’re still in space, or after landing on an extraterrestrial body. The Kilopower prototype just aced a series of major tests in Nevada that simulated an actual mission, including failures that could have compromised its safety (but didn’t). 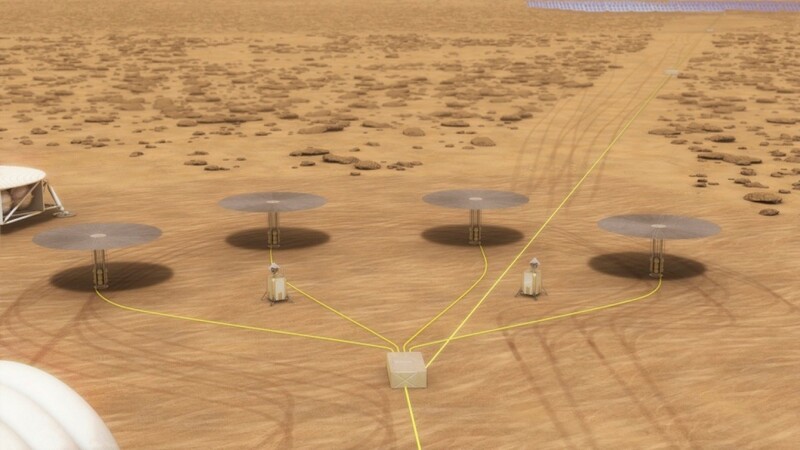 This nuclear reactor would be a “game changer” for explorers on Mars, Lee Mason, NASA Space Technology Mission Directorate (STMD) principal technologist for Power and Energy Storage, said in a November 2017 NASA press release. Just one device could provide enough power to support an extraterrestrial outpost for 10 years, and do so without some of the issues inherent to solar power, namely: being interrupted at night or blocked for weeks or months during Mars’ epic dust storms. “It solves those issues and provides a constant supply of power regardless of where you are located on Mars,” Mason said in the press release. He also noted that a nuclear-powered habitat could mean that humans could land in a greater number of landing sites on Mars, including high latitudes where there’s not much light but potentially lots of ice for astronauts to use. Nuclear reactors are not an unusual feature in space; the Voyager 1 and 2 spacecraft, now whizzing through deep space after departing our solar system, have been running on nuclear energy since they launched in the 1970s. The same is true for the Mars rover Curiosity since it landed on the Red Planet in 2012. But we’d need a lot more reactors to colonize planets. And that could pose a problem of what to do with the waste. According to Popular Mechanics, Kilopower reactors create electricity through active nuclear fission — in which atoms are cleaved apart to release energy. You need solid uranium-235 to do it, which is housed in a reactor core about the size of a roll of paper towels. Eventually, that uranium-235 is going to be “spent,” just like fuel rods in Earth-based reactors, and put nearby humans at risk. When that happens, the uranium core will have to be stored somewhere safe; spent reactor fuel is still dangerously radioactive, and releases lots of heat. On Earth, most spent fuel rods stored in pools of water that keep the rods cool, preventing them from catching fire and blocking radiating radioactivity. But on another planet, we’d need any available water to, you know, keep humans alive. So we’d need another way to cool spent radioactive fuel. It’s possible that the spent fuel could be stored in shielded casks in lava tubes or designated parts of the surface, since the Moon and Mars are so cold, though that introduces the risk that someone might accidentally bump into them. Right now, all we can do is speculate — as far as we know, NASA doesn’t have any publicly available plan for what to do with spent nuclear fuel on extraterrestrial missions. That could be because the Kilopower prototype just proved itself actually feasible. But not knowing what to do with the waste from it seems like an unusual oversight, since NASA is planning to go back to the Moon, and then to Mars, by the early 2030s. And in case you were wondering, no, you can’t just shoot the nuclear waste off into deep space or into the sun; NASA studied that way back in the 1970s and determined it was a pretty terrible idea. Back to the drawing board.